Regular maintenance before and during winter is critical to ensuring that the roof lasts as long as it should. The more regularly you maintain the roof by repairing it or replacing the damaged parts the less work you’ll have to do on this part of the house over time. Signs of damage can be obvious, hence the need for regular inspection conducted by a professional contractor who knows what to do. Something seemingly as harmless as a crack on the roof requires fixing immediately to ensure that the problem doesn’t get worse during winter. 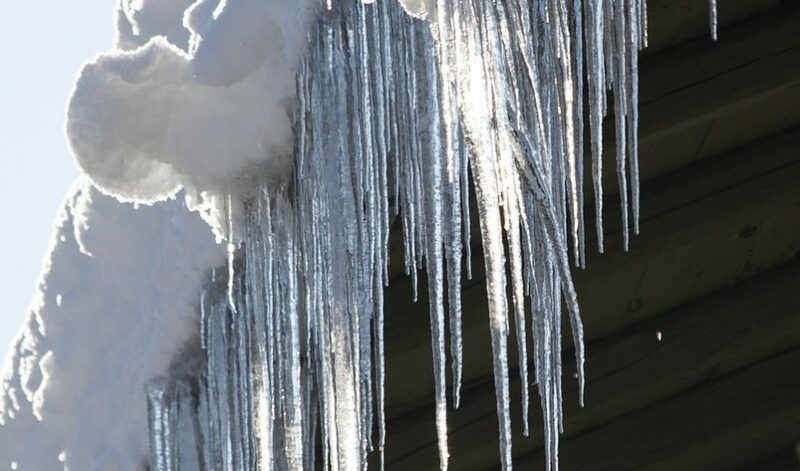 Clean gutters are good for the roof, as they mean that the snow or ice has a place to go. Clean gutters are wonderful because they prevent standing water from damaging the roof. In fact, with clean waters there would be no need for worrying about standing water. Every single part of the roof that requires proper sealing should be sealed. Failure to seal properly will create the spaces through which water will flow right into thus damaging the roof further. Cold snaps and heavy snow are common features of winter. Cold snaps and heavy snow mess with trees, thus causing their foliage and branches to fall on roofs. Therefore, trim all the nearby trees early and ensure that they have no hanging foliage or branches. The roof could benefit greatly from waterproofing. Waterproofing strengthens the roof, thus ensuring that it can last longer than you ever imagined. In fact, a waterproofed roof lasts longer than a non-waterproofed one does. Once an inspection points out a problem with the roof, hire a roofing expert to conduct repairs and replacements immediately. First, ask the contractor for a roofing estimate for all the roof repairs Grand Rapids MI that your roof requires. Snow not only damages the roof, but also causes structural damages. A structural damage is costly to repair. Safety becomes a major concern when the building suffers structural damages. For this reason, remove all the snow from the roof immediately. A fresh coating applied on the roof prior to the onset of winter could give this part of the house an extended lease of life. If your home has metal roofs, the additional coating will enable them to continue to serve your roofing needs for much longer and more effectively. Other measures that you should take include checking for and replacing any loose or missing shingles immediately. Small tears, holes and dents on the roof as well as gutters should tell you about the kind of damage that hail storms during winter are causing on your property. The gutters need as much protection as possible in addition to the regular cleaning. Installation of leaf guards on the gutters is highly recommended to stop more leaves or debris falling into the gutter and negating all the good work that you have done. Therefore, call Professional Roofing Experts or visit https://www.professionalroofingexperts.com/ today for an opportunity to increase your knowledge regarding the best ways for protecting the roof on your house from damage during winter.